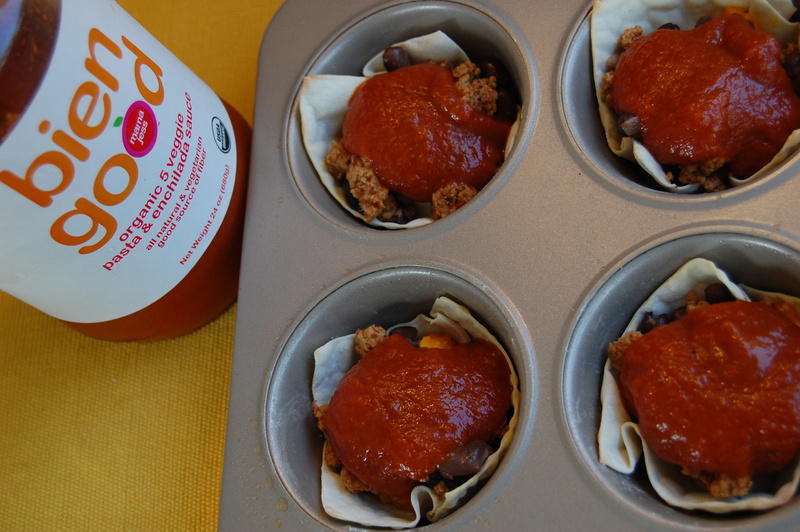 Our Mini Lasagnas were such a big hit thanks to our thick Bean Good pasta sauce, that I wanted to share a twist on the delicious muffin meals using our thick Enchilada & Pasta Sauce, Bien Good. There are a lot of very watery, vinegary & sugary enchilada sauces on the market. I have ALWAYS made my own because I cannot find one that cooks well and more importantly is good for you! That’s why I invented Bien Good and I’m so happy to share it with you and your family!. Bien Good is the first ORGANIC enchilada sauce – that’s THICK and GOOD FOR YOU! 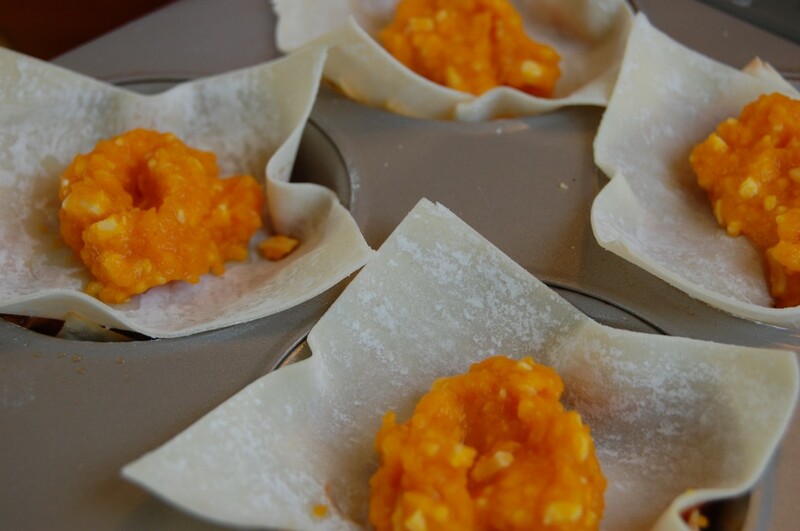 We love the bean and corn puree hidden inside for a boost of fiber and texture. If you haven’t tried this sauce – I can guarantee you’ll love it! So much versatility – watch our blog for tons of fun recipes. 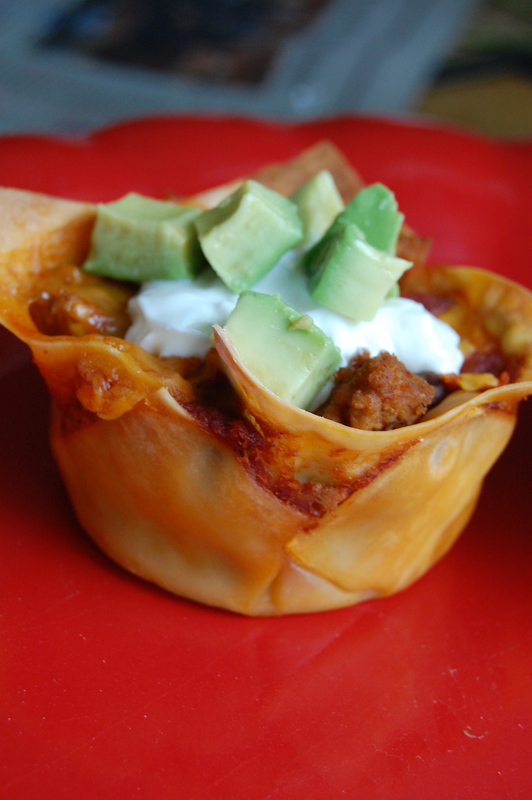 These taco cupcakes pack the perfect portion when you have that Mexican food craving. 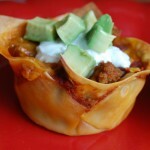 Check out their nutrition facts: only 130 calories, 2 fat grams, 3 grams of Fiber and 9 grams of Protein per Taco Cupcake. That’s great, you can certainly even have two! And it’s the perfect accompaniment to a salad or bowl of soup. The other great thing about anything with “Cupcake” in the name, is that KIDS love them! That is win for dinnertime, one meal for the whole family. 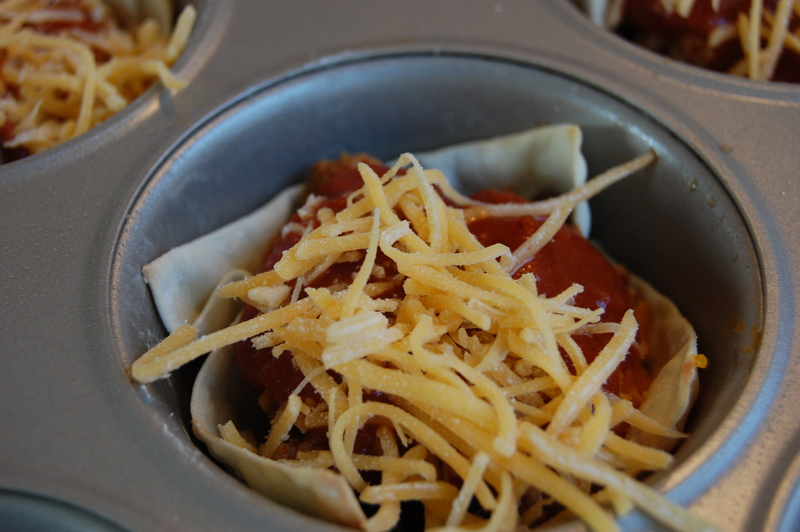 My kids love to build their own Taco Cupcake…adding their own favorite substitutions (like corn or mozzarella). I promise that including them in the ‘layering’ process will add to their liking the finished product. I’ve added a secret layer of gooey cheese that looks so indulgent but still good for you. 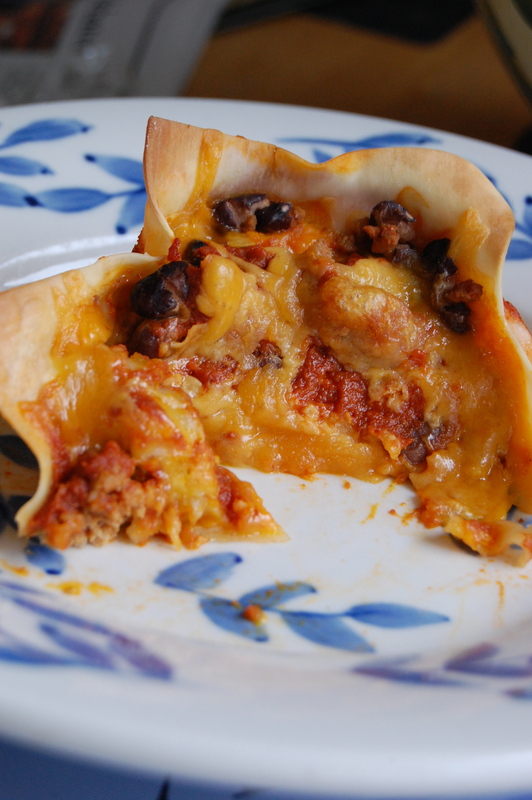 By adding the squash-cheese mixture, you get that gooeyness found in high cheese recipes WITHOUT the fat & guilt! Enjoy this little trick…it pairs beautifully with the tang of Bien Good and packs in more Vitamin A & C. If you weren’t aware already, squash is a very low calorie food, so eat it up this fall! 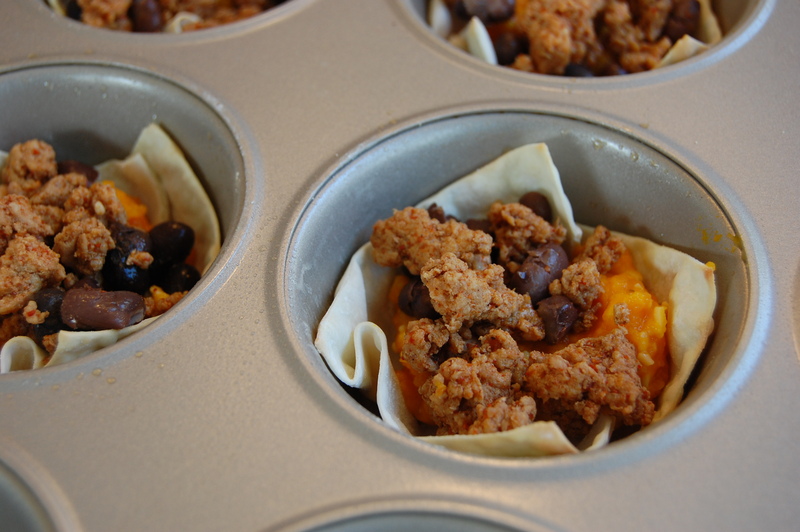 These Taco Cupcakes would be perfect for parties…Halloween? Football? They are even delicious the next day for lunches! preheat the oven to 375˚F. Lightly mist 12 cups in a muffin tin with cooking spray and set aside. heat oil in a large skillet over medium-high heat, add the ground turkey and chili powder. cook through and then drain meat on paper towel covered plate. add black beans and cooked turkey to bowl. this becomes your meat filling. defrost whole 10 oz. container of squash in microwave. scoop 6 ounces into a new bowl and mix in 1/2 cup shredded cheddar and 1/2 teaspoon salt. this becomes your gooey cheese filling. 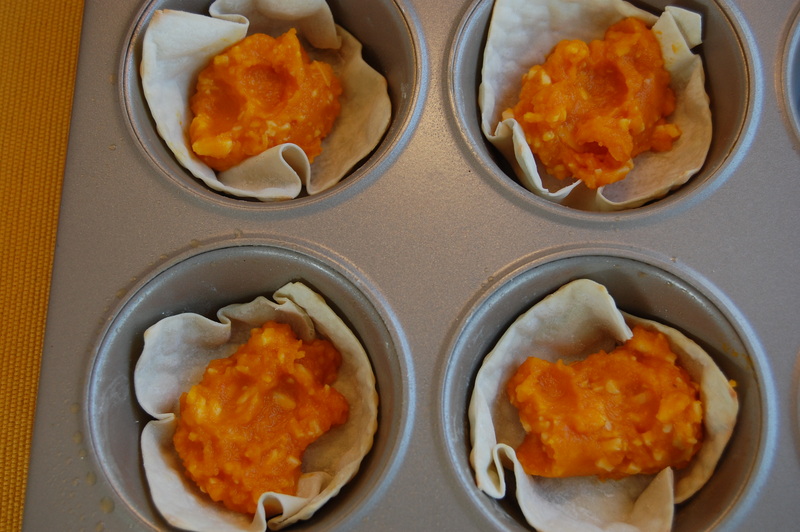 push a wonton wrapper into the bottom of each of the sprayed muffin cups. 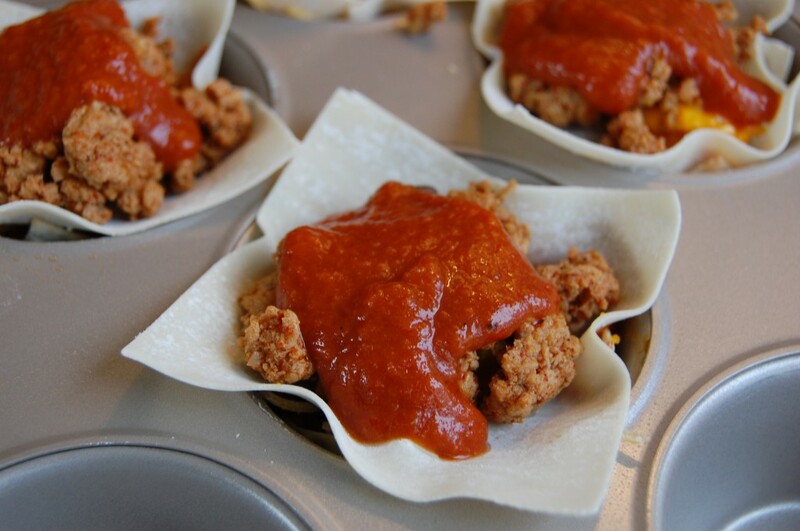 cook just this wonton layer alone, in oven for 4 minutes. remove from oven and we will begin layering process. 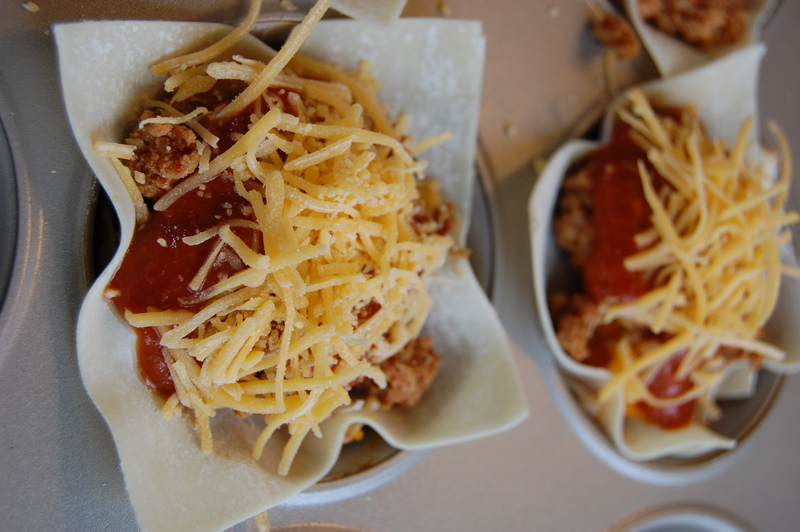 you can skip the 4 minute pre-bake if you don’t want crispy crust (the bottoms will be more noodle like). layers: Start with one teaspoon of Squash-cheese on the pre-baked wonton. then add one tablespoon of meat/bean filling. add one tablespoon of Mama Jess Bien Good Enchilada sauce on top. 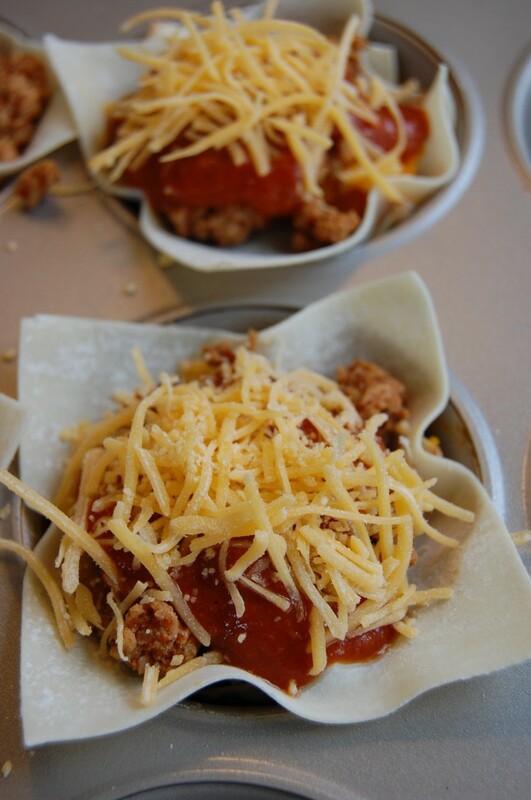 sprinkle this with a pinch of cheddar cheese (this becomes the glue between the two layers, so don’t omit this) REPEAT LAYERS: Wonton, 1 T squash-cheese filing, 1 T meat/bean filling, 1 T Mama Jess Bien Good Sauce, and top with a pinch of cheddar cheese. bake for 18 minutes until golden brown. 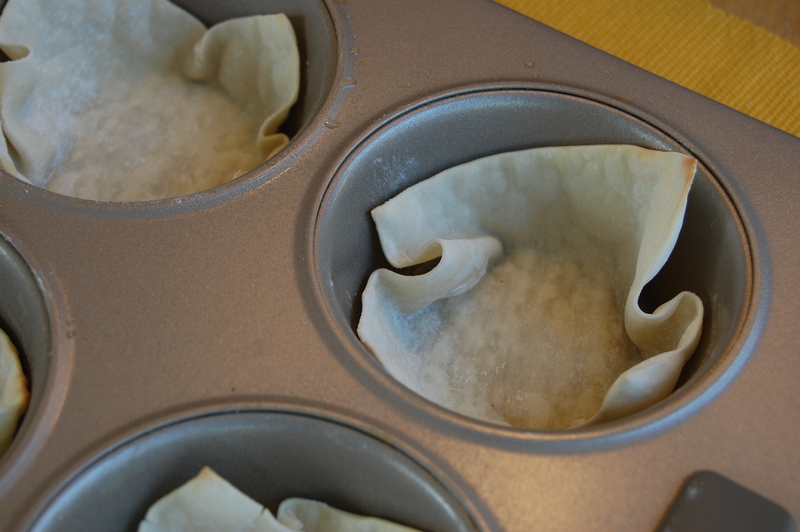 let cool 5 minutes before removing from muffin tin. top with avocados, 0% fat Greek yogurt (as sour cream), guacamole, etc.